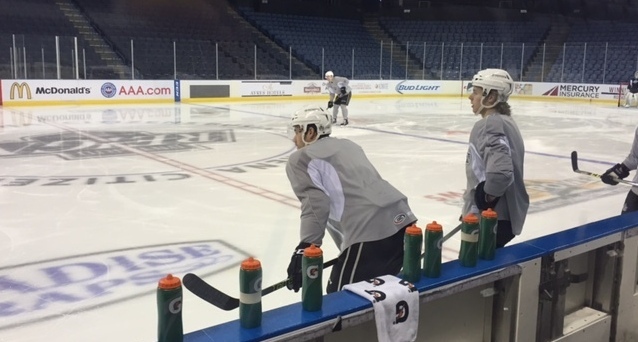 The Reign’s leading goal scorer is back in Ontario. 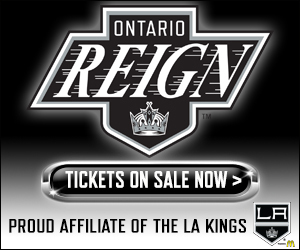 Left winger Michael Mersch was assigned to the team by the Kings officially on Friday morning and was on the ice for the Reign’s morning skate before they host San Diego at 7 p.m.
Mersch, who leads the Reign with 12 goals, played in 15 games with the Kings, making his NHL debut on Dec. 11, 2015, against Pittsburgh. He registered one goal and three total points in his first NHL call-up. 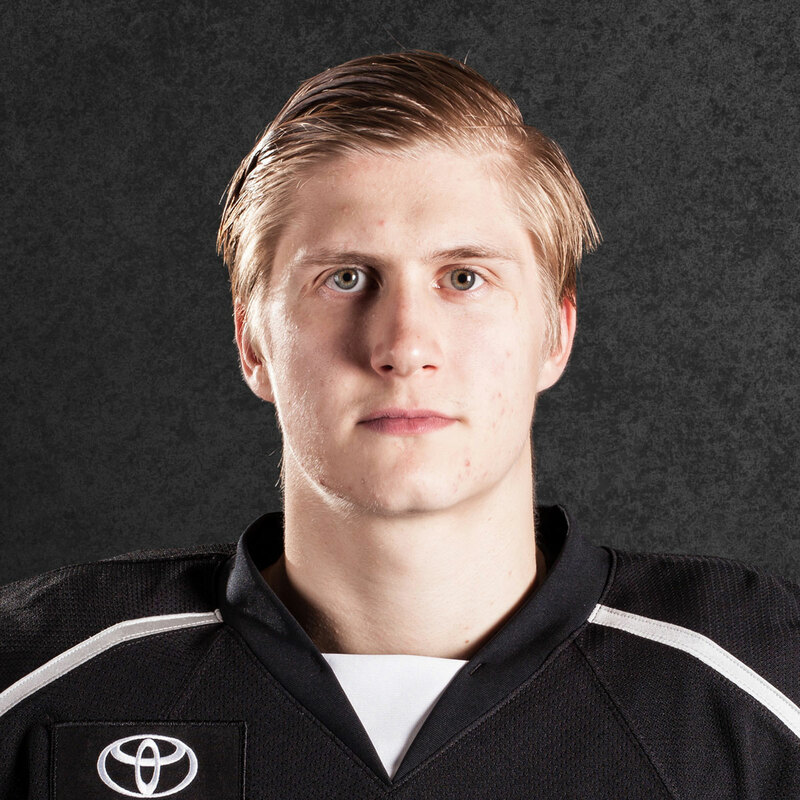 Mersch went with the Kings on their visit to Children’s Hospital of Los Angeles on Thursday but was told to come back to the rink afterwards so he, “kind of had a clue,” about being sent down. “So I packed up my stuff and got back down here last night and unpacked and came to the rink this morning,” Mersch said. 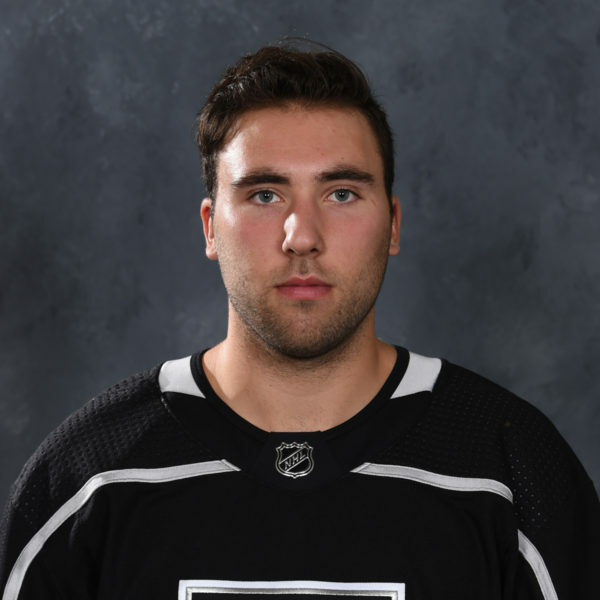 There was no indication from Mersch or head coach Mike Stothers on if his stay will be short or long-term, but either way, it’s going to benefit the Reign to have No. 27 back in the lineup. Tonight he will start the game as the left winger on the line with center Derek Army and veteran Sean Backman, which will be his first Reign game of the season not skating to the left of Nic Dowd. 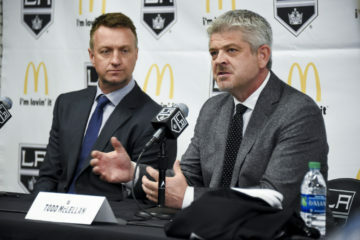 Stothers said it will be important to see how Mersch reacts, but the coach has no doubt this will be a good thing for Mersch, no matter how long he’s in Ontario. “It’s just part of life in the American Hockey League. You’re up, you’re down. 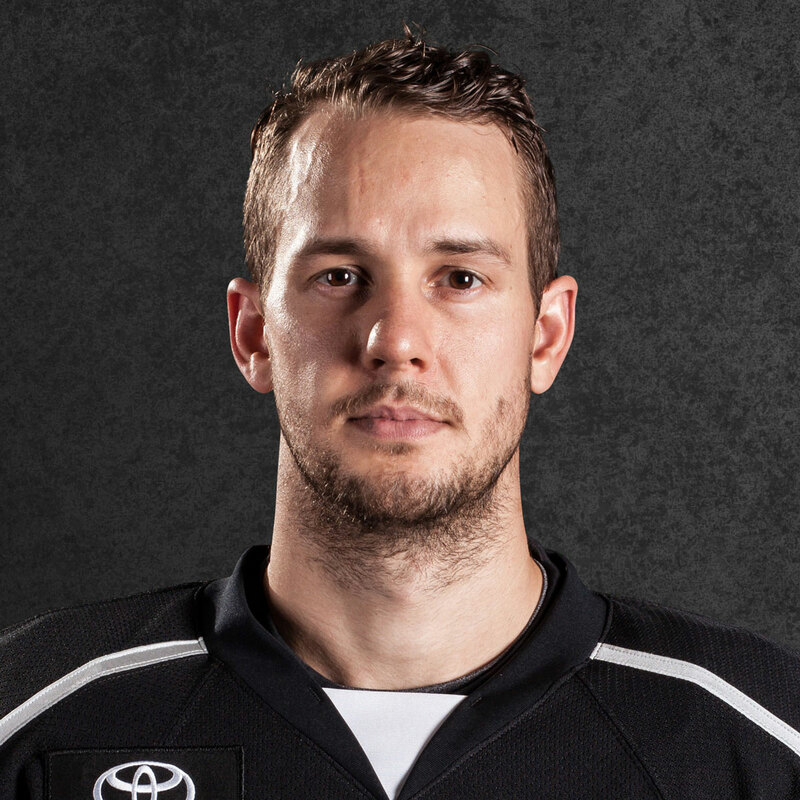 You’re giddy and you’re just feeling on top of the world when you’re in the NHL,” Stothers said. “No matter how much you liked where you were in the American Hockey League, you don’t want to go back down. Once you get the experience, and the lifestyle, just playing in the best league in the world, it’s a little bit of a setback. But at least he’s familiar with the team, his teammates. It was a great experience. The speed and pace up there is great. I just get more comfortable. Systems here and there are the same but there’s obviously always some differences, different coaching staff, right? Being here helps transition there a lot. Just trying to mesh with the team and figure out how my game fits into the system up there. It’s always a work in progress. I felt my last game was probably my best: a couple shots on goal, felt more comfortable with the puck, made a few plays. That kind of stuff builds up. You just want to focus on the positive plays you make and build on those early on and take it shift at a time and just be a positive guy. Get to know your teammates a little bit better and make them more comfortable with you. It’s all that type of stuff that goes into being a part of a team. They’re both great head coaches. I wouldn’t say much of a difference, like I said the systems are about the same between both teams and they have great communication with each other. When you have that it makes the transition up there easier. Every coach is different. They have different styles and maybe different ways they get their points across but they both do it really well. For sure. I think everybody wants to know. I think everybody wants to be that next guy that gets called up. When you’re able to experience it a little bit everybody wants to know what it’s like, know different things. I’m happy to share with that because we have a great group of guys down here and everybody’s working hard. The mindset here never changed from when I left here last. They gave me a few things to work on coming back down here and I’m going to do that. And next question is probably going to be what are those things they want me to work on. So, it would be just little stuff on the breakouts, rolling into pucks on the walls and transferring that pivot speed up ice. Stuff like that, gaining more neutral zone speed. There’s guys who are really good at it up there like Toffoli and Kopitar, Carter, all those top guys. It shows in their game when they’re able to carry the puck into the zone and enter with speed. Just little stuff like that. Once I work on that and get better at that hopefully if there’s the next call-up or whatever it is, I’m able to develop that stuff down here and bring it to my game. We all like you here, but we don’t want you on the team anymore. So, that’s a unique thing from a coaching standpoint. He wants to get you to the next level. Same with Chris Hajt, our assistant coach, Hubie, they all want to do their jobs to get you better to get you to the next level. It just shows this organization is all about moving their guys up and making them better hockey players. I’ve been telling my friends, my mom, my girlfriend, everybody, coaches here, I’m just playing hockey, no matter where I’m at. Just going to play and be a positive teammate and work on my game and try to get better every day. When you have that mindset it doesn’t really matter where you’re playing. It’s kind of nice that you don’t have to fly back to Manchester when you get sent down, it’s just an hour drive here. That’s one of the good things. Like I said, you focus on getting better and being a good teammate and just playing hockey and kind of makes things easier. It’s a great honor to be asked to play in the All-Star Game and nominated because there’s a lot of good players in this league and congrats to Buds and Stutts and Vinny. 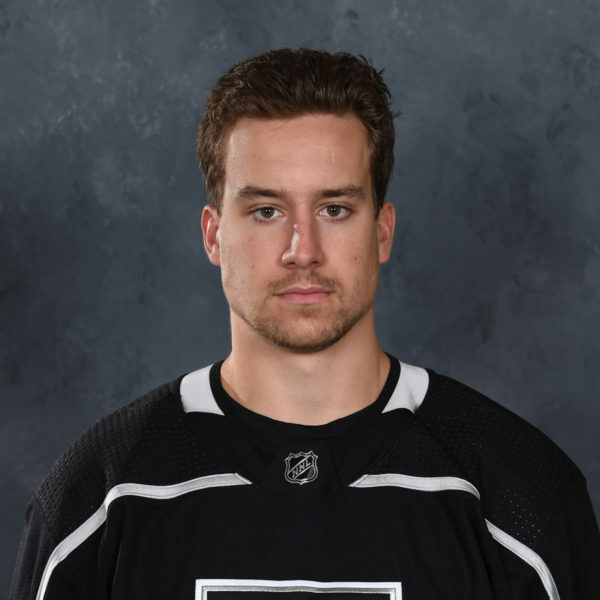 … I talked to Rob Blake and I think our plan was to focus, this is when I was with the Kings, focus on being in the NHL because that’s the goal. So, we decided that I wasn’t going to play in it this year. Like I said, it’s a great honor and opportunity but timing and just everything didn’t work out. He came in this morning and just basically said ‘I’m sure you’re disappointed being sent down, but, you know what, it’s up to you as to how long it’s going to be. You pretty much earned your way on the team right from training camp and due to the fact that you can go down without clearing waivers, which you can’t control, you can’t control that, but you can control your play.’ And, I know he will. … Welcome back, don’t know how long it’s going to be but we will help you in any way, shape or form to get you back up to the Kings ASAP. You, yourself, with your play, will dictate when that happens. Yesterday afternoon after practice. I was just as surprised as anybody that he was coming back to us. … We don’t know how long it’s going to be. They play tomorrow afternoon and they play Sunday night so it could be a one-game thing for us, it could be the weekend, but we know that I’m sure the big fella’s a little bit disappointed to be returning here, but we also know that he’ll give us everything he’s got because of the quality and character person that he is. It helps us in the fact that we can get some better depth and some better balance on our lines. We’re hoping with the lineup that’s going to go tonight that all of our lines can play against any of their lines. We hope we’ve got some speed, some size, some skill on every line. And now we’ve got guys that are slotted into better spots than where they have been in the past. You can ride it for a while with guys that are better in the 3 hole and they have to play in the 2 hole or the 1 hole. It’s a hard thing. Again, I don’t like to get into the numbers of the 1, 2, 3 and 4 lines but the guys do. So, we’ll take it as a gift for tonight and see where it takes us. We don’t know how long this is going to last but it should help us. I was sitting on the training table and just gave him a hug. Good to see him, I mean, I guess good to see him but obviously for his sake I’d like it if he was still up. One of my good friends, I lived with him last year. It’s great to have him back but in saying that I like to see teammates be successful so, I think he played well up there and he’ll continue to play well here.